If you've been reading The Key To Chic recently, you've likely seen the #TargetTwins projects that Toni and I have created. Our collaborations were born out of a mutual love for Target's budget-friendly apparel and savvy take on trends. (Confession: I buy an array of products from Target, and even if I'm just picking up beauty products and broccoli, I find it difficult to leave Target without browsing the clothing.) Since Toni and I end up buying many of the same pieces from Target, it's a pleasure to collaborate and share our outfits. From festival-ready world prints and everyday denim to a favorite floral skirt and the '90s slip dress, we've covered a lot of ground since we began #TargetTwins in the early spring. Whether your personal style is laid back, ladylike, trend-centric, sporty, or classic, our hope is that you'll share our enthusiasm for TargetStyle and find inspiration in the looks we create. Below is a review of our recent looks. We've got our eyes trained on emerging trends at Target and we've generated some great ideas in the works for summer #TargetTwins collaborations. 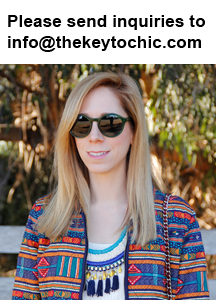 Some of my favorite picks and purchases for summer are pictured below and you can click each numbered item to shop my style. Share outfit inspiration with us by using #TargetTwins on Pinterest, Twitter, and Instagram.